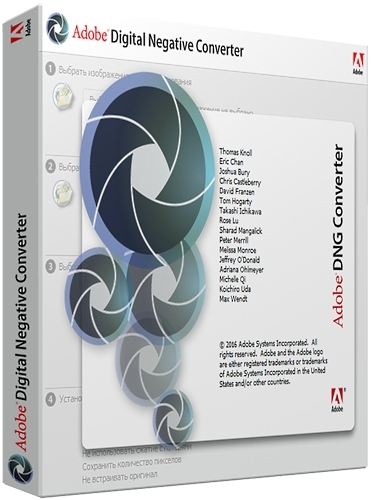 Adobe DNG Converter 9.6.0 Final | Free eBooks Download - EBOOKEE! The Adobe DNG Converter is a free utility that enables you to easily convert camera-specific raw files from more than 350 cameras to the more universal DNG raw format. Digital Negative was developed to address the lack of an open standard for the proprietary and unique raw files created by each digital camera. DNG allows photographers to archive their raw camera files in a single format for easy cataloging and access in the future. With the format specification freely available, any developer can build software that supports and takes advantage of DNG. For more information, visit the Digital Negative page. No comments for "Adobe DNG Converter 9.6.0 Final".